Come out and join us at our annual event celebrating Thanksgiving Leftovers & College Football. Wear your favorite football jersey or sports shirt, bring in your Thanksgiving leftovers (relatives included) and come relax with the Krewe! New football tournament this year, so start practicing your paper football skills. Raffles, drink specials and shenanigans. 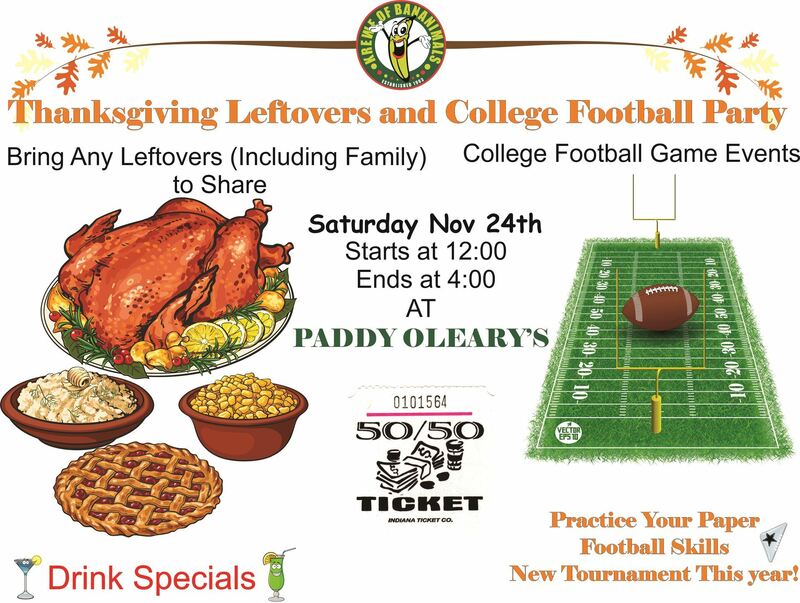 Paddy O'Leary's @ 12:00 PM on 11/24/18.